I am using Fantastical 2 for both iPad and iPhone. Somehow today I want to check out an event for today, and it surprisingly doesn’t show in my iPad’s version, then I check out my iPhone immediately, and the event is there. So I rebooted my iPad, and luckily the event finally showed up. But, this makes me test out which device is faster to sync when I create an event using my desktop online calendar. So I started creating a Google event online, to see which device syncs faster. Then I realize, not only iPad version doesn’t sync again, but also is using the wrong color as different from the one I use for the event in my Google calendar (iPhone version has no issue with the coloring, and syncs quickly). Plz fix it, since this makes me so nervous to check out iPad’s calendar. I’m still a huge fan of the app, and it gets better with each release. One suggestion: For calendar view, how about an option that allows the week to begin on the current day? Usually when I view a week I don’t necessarily need to have the elapsed days in view. I much prefer to have the current and upcoming six days at my disposal. 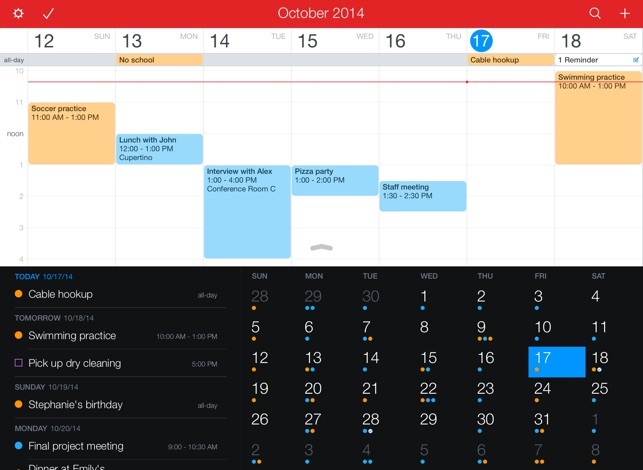 I've tried many Calendar apps and this one is really outstanding. It's intuitive and does things that I didn't even expect. 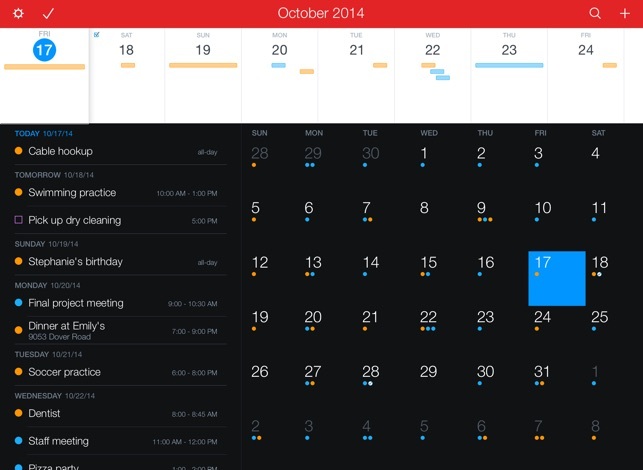 It's definitely well worth trying and is a huge improvement over the Apple calendar app. 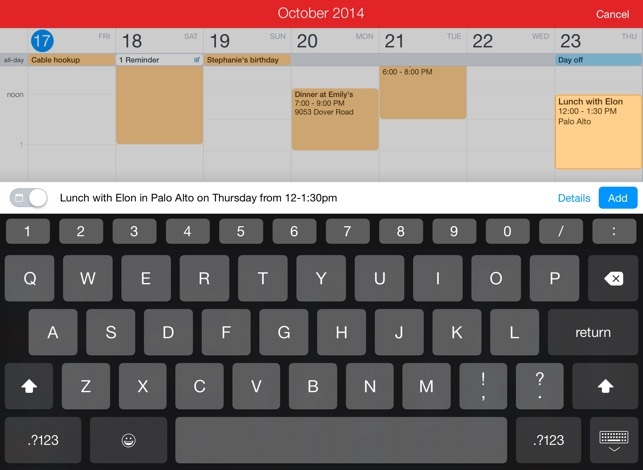 And it syncs seamlessly with the Apple Calendar app and vice versa. I still use both but typically default to Fantastical. I use Fantastical 2 for iPad and iPhone to manage my work appointments, and it works well in the iCloud environment, syncing is good, things are intuitive, the main features I’d want are there. But I’ve found two frustrating issues. 1) The alert sound on the iPad version cannot be customized, and the default is WAY too quiet and subtle. Why can’t this be personalized like it can in the iPhone version (and used to be in the Fantastical 1 version for iPad)? This is a dumb and lazy limitation that, for me, is nearly a deal-breaker. Audio alerts need to be clearly audible. 2) The “helpful” way that Fantastical 2 tries to extract event details from the event name is super-annoying. If you put what Fantastical thinks is an event date or location in the event name field, it automatically prefills the other fields with that information. There should be an option to disable this feature, because in my experience it’s more often wrong than it is right. 1. It's not possible to change Fantastical's notification sound due to restrictions Apple imposes on third-party app notifications. However, there is a workaround: open iOS's Settings app and go to the Notifications section. In here, select Fantastical and disable 'Sounds' but keep all other types of notification active. Next, select the default Calendar app in the Notifications screen and disable all notifications except 'Sounds', which you can then configure to anything you like. 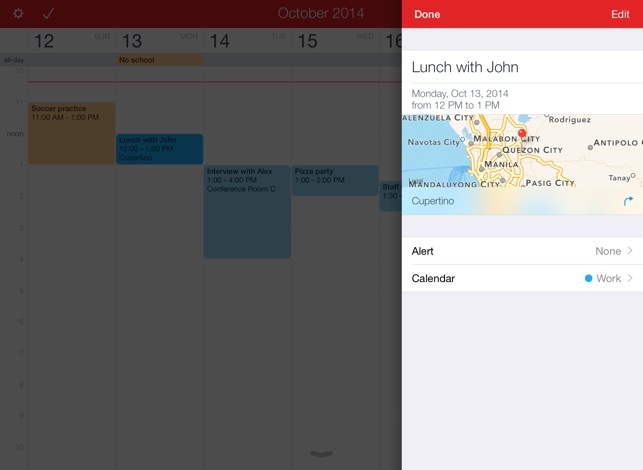 This way, Fantastical will notify you of an event alert visually, and your chosen Apple Calendar notification sound will play simultaneously. From a user's point of view, it will seem that Fantastical's notification sound has actually changed. 2. Use quotation marks to enclose any text you don't want to be automatically parsed.